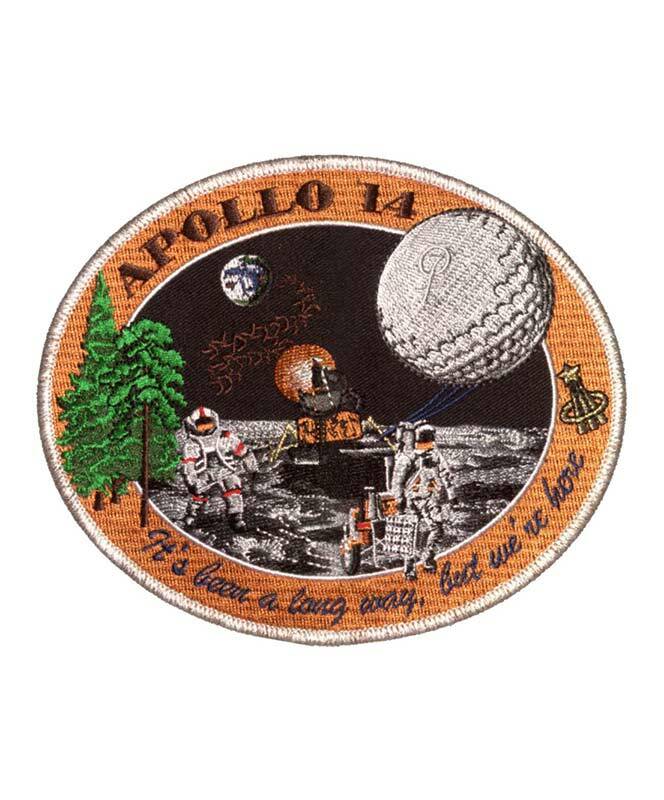 This 6" patch depicts the Apollo 14 mission. With a crew including Alan Shepard Jr., Stuart A. Roosa, and Edgar D. Mitchell, the mission launched from Kennedy Space Center, Florida, on January 31, 1971. It was the third mission to achieve lunar landing.